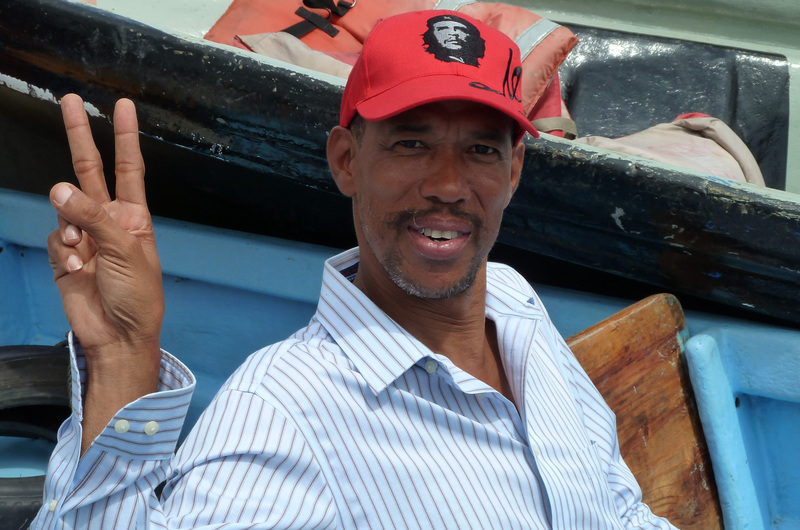 This is the second of four interviews carried out by David McKnight on his recent visit to the Caribbean Coast. Here, David speaks with Michael Campbell, Programmes Director at CEDEHCA (Centre for Human, Civil and Autonomous Rights) in Bluefields, RAAS (Southern Atlantic Autonomous Region). 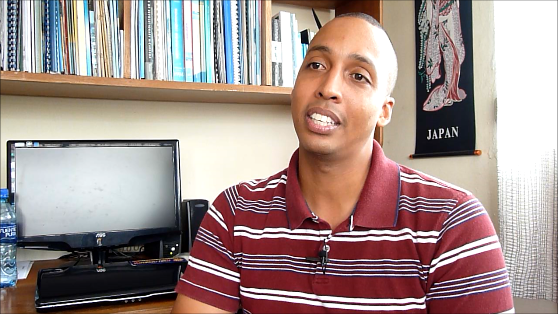 Michael discusses CEDEHCA’s work, the current political and economic situation on the Coast and CEDEHCA’s observer role in this year’s presidential elections. David McKnight (DM): What work has CEDEHCA been doing on the Coast and what changes have happened on the Coast in the past five years? Michael Campbell (MC): CEDEHCA is the Centre for Human, Civil and Autonomous Rights, we are a community development NGO that focuses on education, human and autonomy rights. We only work on the Caribbean Coast of Nicaragua and in the framework of the autonomy process. I believe that in the last five years, the situation, economic and political, social and cultural situation of indigenous people and people of African descent has improved a lot, in part because this government understands the importance of the autonomy process, and has visualised the autonomy process as a development strategy for the Caribbean Coast of Nicaragua. And therefore has been able to come up with a human development plan for the Caribbean Coast of Nicaragua which takes into account things like land demarcation, the importance of the education system, the justice administration system, and the health system of the indigenous people and the people of African descent. That’s in part. Also because civil society organisations such as CEDEHCA, FADCANIC, URACCAN and BICU, have also developed the necessary skills to strengthen the communities, so while five years ago you would have a communal government, already elected, but without a clear understanding of what their priorities, their problems, and their needs are, now because of the work that our organisations have been doing these people are clear – they know exactly what they want and that’s why when the government was doing the consultation process for the human development plan for the Caribbean Coast of Nicaragua, everything was already in place. This has allowed the government to make some of its social programmes come towards the region in a way that communities can really take advantage of them. For example – artisanal fishery, credit for artisanal fishery and also the technical assistance that they need to carry that out has improved vastly especially in the case of Rama Cay, El Bluff is more commerce but also they have become involved in that, the Pearl Lagoon Basin, Karawala, Sandy Bay here in the south and also to a certain extent in Puerto Cabezas and a little bit above there, close to the coast with Honduras. The government has also improved the region with its Zero Hunger programme here so agricultural producers here on the Caribbean Coast have benefitted a lot. Before, those programmes were only limited to the mestizo population but now the Miskitu population, the Mayagnas, and even the Afro-descendant – the Creoles and the Garifunas – have begun to develop the agricultural production in their own communities and this is very important because now the way that these programmes are starting is that agricultural production is limited not only to subsistence, it’s also that they are producing enough to export to the nearby semi-urban areas, and also some communities are even learning how to export out of Nicaragua, towards the Caribbean, and in the framework of CAFTA or also exporting to Venezuela and the other ALBA countries. This is something that’s important because the basis for generating income based on your own culture, your own tradition and your best practices is generating a boom here in the region and you can see that development has become plausible to a certain extent. DM: The international English language media focusses on what they call the ‘white lobster’ or cocaine and portray the coast as a place where there’s only drugs. What is CEDEHCA’s experience? MC: First of all, one of the most important things that we have to take into account when we want to put in place a strategy for combating drug trafficking and organised crime is that we have to fight the myths that exist. Nicaragua and Central America, the Caribbean Coast of central america are actually victims in the drug trade, we have to make this clear. The drugs are produced in the South and they are sold in the market in the north. We are just the channel through where the drugs pass through. Therefore you cannot identify these communities necessarily as problems in the drug trafficking or people that are really benefiting from the drug trafficking. It’s important to understand that these communities have been historically marginalised, you have had very little presence of the state, there is very few opportunities for income generation. Education, culture and recreation is also very small here. If there is any type of development presence there in these communities it is only through the presence of the work that CEDEHCA and other civil society organisations do there. Maybe another serious problem is that all the effort that the government of Nicaragua and that other governments have done is to increase the spending, increase the budget for coercion – you give more funding to the police, you give more funding to the navy or to the army in general. These communities have never had good relations or there has never been a presence of these institutions in these communities so you cannot expect these communities to cooperate with a coercive institutions, institutions of order so quickly. Nicaragua’s best strategy to help in combating drugs and organised crime is to develop these communities, these marginalised coastal communities. So in the case of CEDEHCA we think that the strategy has to be aimed at eliminating vulnerabilities with regard to drug trafficking and organised crime. This means that first, any strategy has to focus on the traditional, political and social order within the community. You have to strengthen the communal governance first, increase their capacity to plan, help them get the necessary resources in place to help them get their development plans going – these kinds of things. That has to be step 1. Increased governance within these communities. Now with Law 445, with the Autonomy Law, these communities have actually began to use electoral processes. It’s not only the elders in the communities that participate, now you have women participating and young people, and now the elections are carried out periodically. So that’s one – you have to increase the communal government’s capacity to function. Second, in the drug trafficking process, young people, young adults, are the ones to a certain extent help the drug traffickers passing by because this is their only means of surviving so they know that by helping these drug traffickers, providing them with safe haven at some point and also maybe with fuel, they gain a lot of income and this income in turn is used within the community so that’s why some of these communities have parks and maybe good houses and things like that, the basics. And the other ones are the women. Women don’t necessarily participate in drug trafficking, international drug trafficking but they are the ones who set up the in-house drug trafficking, the places where they sell drugs. The second point of the strategy has to be to get women and young people involved in any activity that will help them generate income. Because they are getting involved in this not because there is a culture of the ‘white lobster’ or a culture of drugs here on the Caribbean Coast of Nicaragua. They are doing it because they make a conscious decision to survive. They are not worried about who is consuming it in the United States or in Mexico or who is producing it in the south. All they know is that they need to generate income and that they need to survive and to provide for their families. The third thing, and I think this is starting to become a more pressing issue. It’s that, because of the drug trafficking and even drug consumption, the values within the communities are beginning to deteriorate. So a strong and conscious effort has to be put in place to target cultural identity, strengthening cultural identity and strengthening the moral fabric within the communities. The elders don’t participate in the drug trafficking, it’s always the young and women. They are the ones that have the traditional values and the traditional cultures that shouldn’t be lost. These are the source of identity for these communities and it’s very important to keep those things when they are coming to plan for the future. So strengthening generational links, promoting culture and recreation for young people is the third thing that you have to take into account. But it’s a question of eliminating vulnerabilities. It’s not a question of trying to combat drugs directly. These communities would not be engaged in drug trafficking if they were not poor, marginalised communities. DM: CEDEHCA will be doing some work in relation to the presidential elections – observation, monitoring, can you tell me a little bit about this work? MC: CEDEHCA has been doing electoral observation on the Caribbean Coast of Nicaragua since 1996. We carry out electoral observation with over four hundred observers. Usually we cover about 60% of all the voting stations in the region. CEDEHCA’s priority in the election is to try to guarantee, first of all the education of the community about the importance of voting – you have to go out and vote. 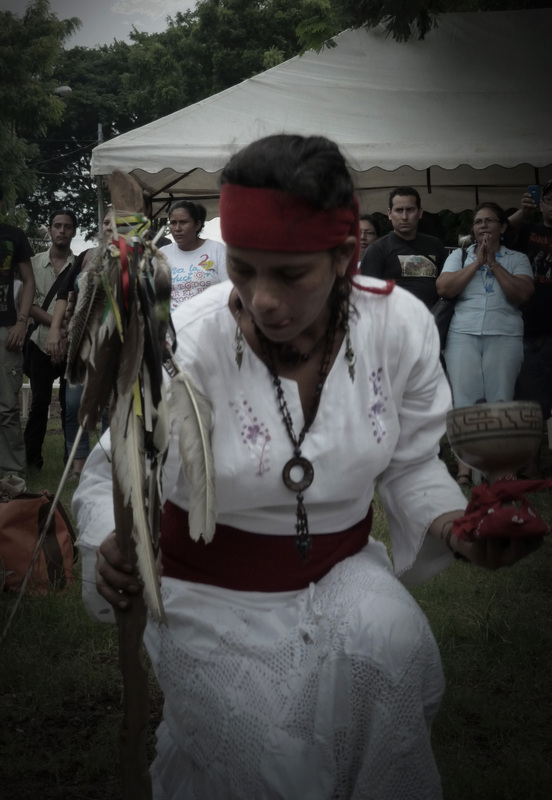 And the second one is that the necessary lobbying about the priorities of the indigenous people, people of African descent and mestizoz on the Caribbean Coast of Nicaragua are incorporated within the political campaigns of all the different political parties. This is how we have managed to get the autonomy process running. With regards to this election – as you know, things are a little bit complicated – but CEDEHCA will stick to the strategy that it’s always done. We limit ourselves to just comment and criticise the technical aspects of the election. We believe that the electoral observation requires you to be completely and totally impartial. And these communities trust CEDEHCA because of the work we’ve done because of the confidence we’ve generated because of the legitimacy with which we work. So we don’t comment on the political agendas, or even the ideologies of any of the political parties. We leave that decision to the people. What we try to measure more than anything is the tendency of the votes of indigenous and Afro-descendant people. We try to measure the tendency of how women and young people vote. And the technical aspects have to do with ‘are the voting stations in place to guarantee as much access for the people as possible, are the people treated well, is the electoral list complete. We try to measure the level of abstentionism. Basically these kind of things. Our reports our presented, after the Supreme Electoral Council presents their report, we present it to them and then they have a moment to criticise it and after that we present it to the media and make it and make it available to the country and every else who needs it. In the case of the Caribbean Coast of Nicaragua, electoral observation is fundamental. We have more elections here in this region than in any other part of the country. We have communal elections, we have municipal elections then we have elections for the Regional Council, then we have national elections in which you elect the two representatives of the region – well, there are five, 3 in the north and 2 in the south. We elect all the national congressmen and we elect our congressmen to the Central American Parliament. So it means that the indigenous and Afro-descendant people of the region have to require organisations such as CEDEHCA to provide education about how the elections are going to be conducted, and they also trust us to make sure that elections are conducted in a transparent and impartial way. DM: What changes, if any, have there been for the people of the Caribbean Coast in the last 5 years? JH: There have been significant changes. To begin with, we have been working to change the model. We are substituting that model that we had before, that model that was based on every man for their self and we are building a new model that is based on solidarity and love for your neighbour and this cause us to define a development strategy for the region, for the Caribbean Coast. And it’s a very important tool because it is the first time in our history that we have a development strategy and this strategy is so important because it is a strategy of human development. We are working to develop people not to develop only things. And the essence of this strategy is that development come from within so it’s not people that came from the United States or England or Spain or anywhere else that came and made this strategy. It’s a strategy where we got together and we work it out defining our priorities. This strategy contains fifteen different programmes and we are implementing these programmes and we are getting good results from them. The first programme on this strategy is to do with Mother Land. How we going to take care of Mother Land? And that programme includes an amount of projects and one of these projects is the project of demarcation of land and titling of communal property. So we have been working in defining in the territory of the Caribbean Coast, all the land that going to be handled in the model of communal property. This is a model of ownership, traditional among the indigenous and some of the Afro-descendant. We have contemplated in that strategy to demarcate and titles for 22 territories and we have already demarcated 17 territories, and that 17 territories signify more than 22,000 sq km. 22,000 sq km in the hands of the communities – owners of communal property – is more than the whole extension of our neighbour country El Salvador. This is one of the first changes that you can observe, we still have to work more on this. But we are advancing pretty good with this and this is a very significant change. Because this means that our people will never lose the land. We have had a type of ownership that is more according to the mestizo type of ownership that is individual ownership. Well, the individual ownership is not bad but that’s their culture, and the culture of the indigenous and afro-descendant is more in harmony with communal ownership. There is another programme that is to do with electricity for example. The strategy contemplates carrying electricity to all the communities of the Caribbean Coast. The least of the communities today have energy service, there was just a few communities that had electrical energy service and those few used to have electrical energy service for certain hours during the day. What we are working on right now is to carry electrical energy service to all the communities of the Caribbean Coast, 24 hours. We can’t do this all at the same time. It’s little by little. But we have already advanced with a lot of communities that didn’t even dream that they was going to be enjoying electrical power for 24 hours during the day. There are some that didn’t even dream to have it even one hour during the day and today they have electrical energy service. The President of the country, Commander Daniel Ortega, is always telling us that ‘we cannot sleep tranquilo in our bed while you have people that when it rains, they’re getting wet’. So we have a programme to help people fix their roof. We share zinc to those families so that they can fix their roof and we can know that when it rains that these people doesn’t get wet. We still have a lot of people that get wet when it rains but we are working on this programme. You see it’s not just a project. We are not going to stop this until the last person, the last family, on the Caribbean Coast – and this is for the whole country but we are talking specifically about the Caribbean Coast – until not one single person get wet when it rains. And this don’t have to do with the political ideology of the person or their religion or their ethnical group – it’s for everybody. We want to make sure that no-one get wet when it rain. And Daniel Ortega is always telling us we can’t sleep tranquilo – we can’t just relax in our beds – until we know that there is no-one, not one single person, in our country that don’t know to read and write. You know, we have to continue, doing this literacy crusade until we know for sure that there is no-one that want to learn to read and write that hasn’t had the possibility as yet. These are the kinds of things into that strategy into those programmes where we are trying to build a model that we define as Christian, Socialist and Solidarity. Those are the values. When we talk about ‘Christian’, christianity value, what we are talking about is that value of ‘loving your neighbour as yourself. When we talk about Christian, some people say well if they mean that we have to go an learn the whole Bible, well if they want to do that that is welcome, it’s good. We think they will never learn anything bad in the Bible! We say if you want to learn the Bible from Genesis to Apocalypse, it’s up to you and that would be good, we welcome that but basically what we are asking you is to love your neighbour as yourself, if you love your neighbour as yourself, you can be a Sandinista, if you love your neighbour as yourself you can be sure that you are going to be a part of that whole development strategy. We talk about Christian principles and which of the christian principles are we trying to rescue? The principle of loving your neighbour as yourself. we are not going to have a socialism like what maybe Marx or one of these guys them preach or write about, that’s not what we are talking about. We here on the Caribbean Coast, we historically I think have been more socialist than anybody else, maybe in the world! When we talk about socialism we talk about socialist ideals – ideales socialista – we are convinced that we are not going to have a socialism like what maybe Marx or one of these guys them preach or write about, that’s not what we are talking about. We here on the Caribbean Coast, we historically I think have been more socialist than anybody else, maybe in the world! But I am sure in this country. You see, we historically had for example the land in communal ownership and that’s a socialist principle. We are not fighting for individual ownership of the land – we the indigenous and afro-descendant. People got afraid of the word socialist or the word communist because, well they tell them that if you say that you are socialist, socialist don’t believe in God, and things like that. But we by nature, our tradition, the people on the Caribbean Coast, we have been socialists, we love our neighbours as ourself, we have always practised solidarity, and I just gave you that example of the type of ownership, of the land. So when we talk about socialist, you know I could give like a example. If we was to have a big flood like they had in Noah days and it begin to rain and rain and rain and the water is coming up, if we are living in that model of every man for theirself, probably the people that have a big boat, can get in their boat and put in their things and their family and they can be nice in the boat even if it be raining and you have a big flood. If the water go up, then the boat go up and they can be in there and they can eat and drink and bathe and cook and do everything in their boat. If they don’t have a big boat and they have a small, little boat, a dory maybe they can even get saved but they are not going to be comfortable, they are not going to be able to save their things, and they might get wet but they might still be able to get saved, but the thousands of people that don’t have any boat would just have to die because well, every man for themselves. What we are talking about is that if a big flood come it not going to be every man for himself – all of us are going to be working together, to try to save us all, to try to save everyone. If we have a hundred sheeps we are going to save a hundred sheeps, we are not going to be happy if we save 99 and one got lost. So that is the socialism that we talking about – socialist ideals. And when we talk about solidarity practices, we don’t want to preach about solidarity we want to practice solidarity on a daily basis. When they had this terrible earthquake in Haiti, our President decided to send a crew of doctors and send some medicine and some grocery to help out in Haiti. There were people here in Nicaragua and even here on the Caribbean Coast saying ‘but why is that we going to send food and medicine to them? We don’t even know them. We don’t have enough for ourself and we taking the little that we have to share with these people that we don’t even know!’. And Daniel said ‘it is logic that people think that way after 16 years of every man for themselves’. And he told us that we have to work hard to get people to begin to feel something for others and he say ‘we going to work on this thing, we going to preach this thing of ‘love thy neighbour as thyself’, we are going to preach it and we are going to exercise it, and we sure that little by little, people are going to recover those values of solidarity, of love, of peace, of life. That’s what we are trying to do so you will definitely see a lot of changes. When we talk about the changes that we have to make, because we didn’t try to reach to the government just to change the person in government, we anounced that we was going to reach the government to change things, to change the model and that is what we are doing and that is what our revolution is about – to change things and we are talking about working and making material transformation but accompanied with the transformation of the consciousness of the people – what we call the spiritual part – it’s not just a material transformation. We are not working to develop things, we are working to develop people, human development. So we have this programme for example, roofing for peoples houses, we have a programme to help that live in the countryside, to get a cow, to get a pig, to get a chicken, to get a start, but if you facilitate the zinc for a family for the fixing of a roof, but you didn’t reach to his conscience, that family might even take that zinc and sell it and may even use the money to drink rum and maybe that roofing don’t even reach to his home. So you can be trying to do the material thing but if you are not reaching to the conscience, if you are not making that transformation, in the spiritual part, in the conscience of the people you are not reaching the changes that you need to make to have a better country. Some people say ‘no, the people are selfish, and every man for themselves and that’s how it have to be – we will never change that’. We are saying that we know it’s not easy, but a revolutionary always accept the tough challenges. And we assume that challenge to make material and human changes in the country. We are working on the material part but on the spiritual part of the people to build a better country. You know that, even if we should pave the streets of Bluefields with gold, and build big palaces, if we don’t change the people, we are not going anywhere. We will still have an unjust and unfair society. And what we are really working for is to have a more just society. A society – a Nicaragua, a Caribbean Coast – where people love their neighbours, that’s what we are looking for. And where people can exercise their rights, we call it restitution de los derechos, restitution of rights, and when we talk about demarcating and titling the land, we are talking about restituting the rights of the people from the Caribbean Coast. All the land from the Coast was taken away by former governments and given to other people not from the Caribbean Coast. We know it is impossible to get back all the land that was historically for the Caribbean Coast but we are convinced that we could get back enough to live good and live happy but as I said it’s not only enough to get back the land – the material part – we need to get back our values, we need to build a better society and this is the essence of what we are talking about so you will see a lot of material changes but I am not getting impressed only with the material changes with the electricity with the houses or with the economical situation of the people. I am concerned and very attentive, to watch the changes in the human being and that is the most important change what we are working towards. DM: Do you think people will elect the FSLN in the forthcoming elections? If so, why do you think people will be more inclined to vote for the Sandinistas this time compared to in the past? JH: In the last election, in the year 2006, the FSLN won, and we won with 38% of the votes of this country. Because, okay it was like four different big political parties and the Frente got the most votes, and got more than 10% more than the closest follower. In this coming election I can’t tell you exactly what the FSLN with their allies going to harvest but in my idea I am convinced that more than half of the people, more than 50% of the Nicaraguan people, in the Caribbean Coast and in the rest of the country are going to vote for the Frente Sandinista. The polls, the encuestas as we call them in Spanish, is telling you that, anybody make a poll, an encuesta right now, get the same result, whether it’s univision or the Washington Post, El Nuevo Diaro, or La Prensa, or CID Gallup or whatever the firm is called – everywhere they do it they reach to the same conclusion, that the Sandinista have more than 50% of the people willing to vote for the Sandinistas. Why? In other elections after 1990, what we call here the liberal party used to tell the people that if they vote for the Sandinistas that the war was going to come back, they used to intimidate the people, telling them that if you vote for the Sandinista we are going to have military service etcetera, and you know, people was scared of this but people got tired of that model of every man for themselves. That everyman for themselves what it brings is a lot of selfishness, and loss of values, and it’s really an ugly system, an ugly model, and people got tired of that model and they gave the Sandinista a chance and when they gave the Sandinistas a chance they have been able to verify that there is no war, that the remittance – you know that they telling them ‘if you vote for the Sandinista you are no going to be able to get remittances from out, nobody going to send money back home’, – and they told them a lot of lies. But the people have been able to prove that these were lies and none of that did happen and that you have a transformation and that this model of love your neighbour and solidarity is really good for us. And this model have a special characteristic that it have a preferential option for the poor – it don’t have anything against the rich – but it have a preferential option for the poor. You see, when you are doing literacy crusade, it’s who you are working for – the poor people that didn’t have access to education. When you are working on roofing, the wealthy don’t need not getting wet, it’s the poor people, which is the big majority in Nicaragua. Nicaragua have five million and a half people and out of that five million and a half, half a million are wealthy and semi-wealthy people, and five million is poor and very extremely poor people. So these five million people is the ones that have seen the benefit of this model. The people are convinced that they need to preserve this model and go profound into it. Because the model is good but we are still poor, so we have’nt been able to reach everybody, we haven’t been able to reach all the poor people but people can see the intention and see the road and being as we have a strategy and the strategy is known by a lot of people, well people can see what it is you are trying to do and where it is you are trying to reach and that is very good and this is some of the reason why I am totally convinced that more than 50% of the people of Nicaragua are going to vote for the Frente Sandinista this 6th November. DM: Some mainstream media outlets say that Bluefields and the Caribbean Coast are havens for drug traffickers and that the Coast is a dangerous place. I have been coming here for ten years and always feel safe and welcome. What’s the reality here? JH: It’s a stereotype, I will never say that we don’t have problem with drugs. Well, we don’t produce any drugs to begin with. The drugs traffickers use different countries in Central America to carry their drugs from South America to north America, to the United States, and they pass through Nicaragua, just as they pass through the other central American countries. There was a time after 1990 where there wasn’t sufficient effort made by the government to control and keep the drugs out of our country. The drugs dealers were able to set up bases here to help them get the drugs across. Since 2006 the government of Nicaragua have strengthened our fight against drugs and this fight has been clearly recognised by international organisations and the drugs dealers are thinking twice before they try to pass their drugs through Nicaragua. But we are victims of that international drug dealing and we are working hard against it. I think that more drugs circle through the Pacific Coast of Nicaragua probably than through the Caribbean Coast. Anyhow, we have that stereotype and we are working against that because we will never accept it. Because you know the people here in Bluefields, the people here on the Caribbean Coast work very hard for what they have. Sometimes a lot of our families, a lot of people from the Caribbean Coast, have their family working overseas, they work on ship, they work twelve months without come home to see their family and when they get a vacation of four weeks or five weeks, they come and pass with their family. So sometimes people can’t understand how a family is living relatively ok if no-one in that home is working or they don’t see anyone working but maybe two of the children are working on the ship out there and sending that remittance home monthly. And to work on a ship is a very tough job. A lot of our people, I could tell you that at least, just from Bluefields, 5,000 families have their children working on ship and sending money home to 5,000 families basically. This is just people working on ship, I mean there are a lot of families working hard overseas, working in people’s houses, cleaning people’s houses etcetera to send some money home and it is hard work. So you know, we can’t accept that our people working so hard to send money home and that people could just say that maybe these families are living from drug dealing. It is true that we have problems and you have a few people, very few people, and we need to work against that system, that system of drug trafficking through our country and through our Caribbean Coast. And we are doing it and we are being effective and I hope that sooner than later we can eradicate this drugs trafficking through our country. They are the most, the strongest power on the face of the earth and they always showing how mighty and strong they are and why they don’t do anything to stop this drugs business?! Definitely if the United States government would do something to stop all this big amount of drugs that they are buying, because they buy all the drugs. Them buy million and million and millions of dollars worth of drugs from Colombia for example. And I think the United States government could stop that. They are the most, the strongest power on the face of the earth and they always showing how mighty and strong they are and why they don’t do anything to stop this drugs business? This will help maybe the whole world, it would help at least this hemisphere, it would help this continent of America, if them should just do something to stop buying drugs. United States is the only country in this whole continent that buy drugs! They are the principal drugs buyer in this continent and you think they can’t do nothing about that?! I mean, it is ugly to make a comparison but after God – God is the strongest thing exists right? And we respect God – after God is United States government! And them can’t do it but I don’t know why – I have never heard a good explanation of why they don’t just say ‘no more drugs coming into our country’ and all the problem will finish, right there. But them like to point their hand at other countries, at other people, and they don’t accept their responsibility with putting all the money, not just the buying, they finance the planting, they finance the guys that plant, that grow these drugs and well they are the owners of the drugs when it come out. All them say ‘we don’t plant it, we only buy it’. Well, they are the ones that into this whole thing and I would love to see that someday that they do something more efficient, more effective. I am convinced that they can do it, with they power that they have they should be doing something. Earlier this week we posted about the other 9/11 in Chile in 1973. In Managua, community organisations held the tenth Victor Jara Festival of music, culture and peace to commemorate the anniversary of the coup and celebrate Victor’s life. 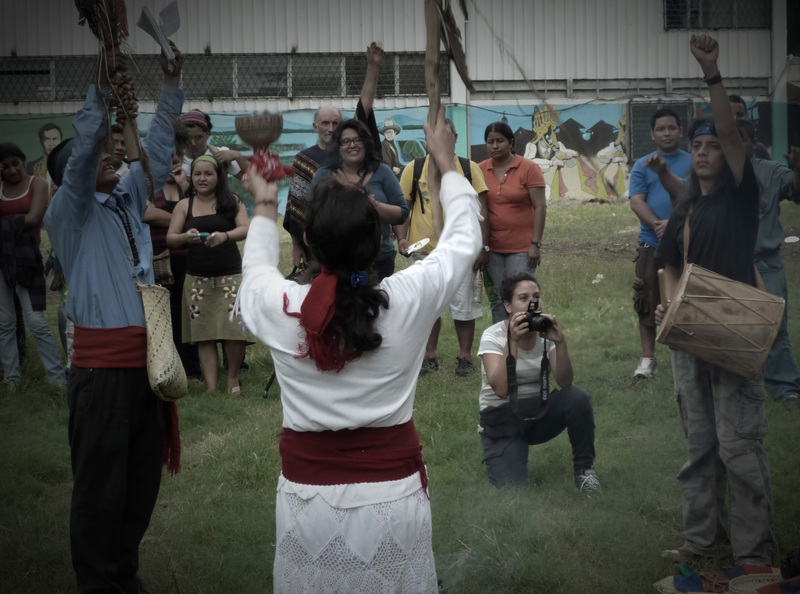 As part of the ceremony, representatives of the indigenous Matagalpan peoples of northern Nicaragua blessed and planted trees in memory of Victor – who was part indigenous Mapuche – and for indigenous peoples everywhere. 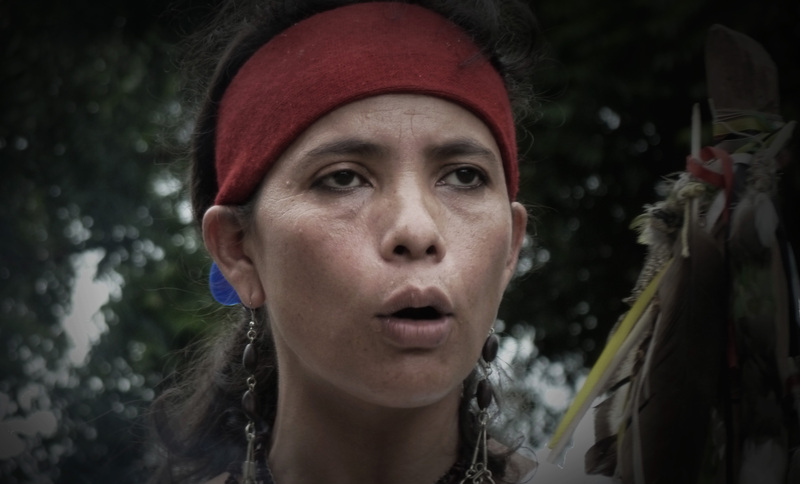 Maritza Centeno, an indigenous Matagalpan, spoke to David McKnight about the ceremony, the struggle to reclaim indigenous lands, the significance of the year 2012 and the importance of intercontinental solidarity amongst the indigenous peoples of the Americas. We hope that this will signal a period when people’s consciousness begins to change – a little but very significant change. I am native to the indigenous peoples of Matagalpa in the north of Nicaragua. We are based in Matagalpa and Jinotega but we are actually from the very south – even as far south as Chile – we are related to the Mapuche – who are also in Peru, Venezuela and Colombia. These are our roots but we are here now in Matagalpa. We, who had been colonised by the Spanish – in contrast to the Atlantic Coast who were colonised by the English – we were not only subjected to the processes of colonisation but then also by the state as in the Nicaraguan state which began to apply an integrationist policy so rather than strengthen the rights of the indigenous peoples they began to further embolden the discrimination against us through making laws that embedded this discrimination. These laws, which the State decreed, said that 50% of the land which belonged to the indigenous peoples of central and northern Nicaragua, should be given to the state that would then be rented to Europeans who would come and plant coffee on those lands. In the 1940s there was another decree, which said that those Europeans who had been renting the land for years now had the right to buy it for very small sums of money. So during the Somoza period, for 40 years we didn’t dare to raise our heads, because we were under direct threat. They didn’t allow us to have assemblies, the community was never allowed to gather, because Somoza saw this as our people plotting some kind of rebellion against the State. With the triumph of the revolution in 1979, many of our rights were returned to us but not all of them in particular with regard to the issue of land and property. Some of the land which had been expropriated by the revolution was not given back to the people but was made into state land. The revolution did a great deal of good for us – for example literacy, for our health – for many of our rights, it was excellent but the question of land was not resolved. We are still struggling with the National Assembly that they should pass a law which returns the territorial rights to us and this is what we are fighting for. It’s very difficult because many of us don’t have the property titles, the pieces of paper that are expected and so it becomes a very difficult struggle. With regard to our ceremonies, we are rediscovering our traditions where communities get together to give thanks to Mother Earth and to our Father, the Sun. We have been celebrating for four years now and invoking the spirit of our ancestors, the grandfathers and grandmothers to give thanks to the earth, to the winds, to the Sun, to the four elements to enter into the souls of people. The Great Spirit is present everywhere – in the air, the trees, the flowers, it’s everywhere – the great spirit of God within the whole of creation. This is what we are doing in our communities. So here we have these two little trees which we are going to plant. Here we have a madroño which is the traditional tree of Nicaragua we are going to entrust her to Mother Earth which is for all indigenous peoples particularly those of Nicaragua. And here we have a canela – a cinnamon tree – which is particularly for Victor Jara and for the indigenous peoples of Chile who are also fighting for the recovery of their rights. In our ceremonial circle in 2012 we are going to have an intercontinental gathering – indigenous peoples will come from all over the continent. On the 21st December we are going to get together to welcome the new Mayan year. Many films and many people say that at this point in 2012 the whole world will come to an end and all sorts of silly things! For us it’s just a cycle and it’s the end of the cycle and what we are gathering together to do is to celebrate the passing of one cycle and into the new awakening. We hope that this will signal a period when people’s consciousness begins to change – a small but very significant change. So for us it’s the beginning of a new and special dimension. This has to do with a cosmic energy, it’s not to do with our own energy and this is something that the Mayans have known about for centuries and centuries through their wisdom. We indigenous peoples are waiting for this time with a great deal of love, excitement and happiness. Because of all of this we are going to walk for seven months throughout the entire continent carrying the message of harmony and peace between all of the indigenous peoples of these lands. Whilst most of the media is focused on the 10th anniversary of the terrorist atrocity in New York which killed 2,753 people, many in Latin America remember another 9/11. Chile, September 11 1973: Thousands were killed in a US-backed coup which also led to the death of democratically elected President Salvador Allende. The subsequent regime of the coup leader, General Pinochet, served as a template for many Latin American fascist dictators, killing or disappearing 3,000 Chileans (a conservative estimate). The military thugs in neighbouring Argentina learned the lessons well, killing or disappearing 30,000 in a decade long dirty war against the Left. 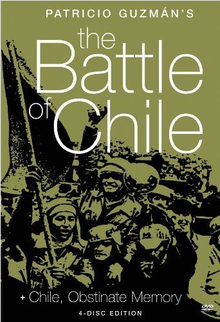 One of the best documents of the coup and its aftermath is The Battle for Chile, by Chilean director Patricio Guzman. The trilogy charts the history of the coup, and the events in Chile that lead up to it – the world’s first democratically elected Marxist government. The films received many awards all over the globe, and all three recently became available on DVD. The smoke (literally) is clearing after the riots in England, and solutions from the mainstream media and politicos range from stick them in jail (the Sun, the judges and Cameron), to organise a few more Sure Start schemes for wayward parents (Blair). The current Labour leadership have tried to make political capital by blaming the riots on the cuts, without explaining clearly how the two are linked. The Left is still searching for the meaning of the riots. Most agree that they were political, if not Political in the sense that the riots of 1981 were. The Guardian‘s Gary Younge made the links between the looting and deprivation (see here) , but insisted these were not the same as the Greek Syntagma and Spanish indignados protests earlier this year. The great fear of commentators like Younge is that without a ’cause’, the riots will be forgotten, like the riots of 81, which were followed by the entrenchment of Thatcher, and the fatuousness of Kinnock, which lead directly to Blair. In her blog Penny Red, Laurie Penny, with a front seat to the rioting, focused on the accusation of ‘mindless violence’. “Violence is hardly ever mindless” she said, and drew attention to some of those at the scene who had also taken part in earlier ‘protests’, which had largely been ignored by the politicians and press who were now screaming at the looters. Perhaps more optimistic, or at least more insightful, is the piece by Brian Dominick (see here). Central to Dominick’s analysis is not why the riots happened, but why they don’t happen more often. It’s hard not to agree with his point. The back drop to the riots has been the economic crisis followed by savage cuts. The poorest have been told to tighten their belts, whilst watching their politicians fiddling their expenses, the police taking kickbacks from newspapers, the newspapers hacking the bereaved, and the banks looting all of us. Throw in growing inequality, inflation racing ahead of frozen wages and benefits, and the constant barrage of advertising telling people they are what they consume. With income (or lack of it) playing the same role as queues in the last days of the Soviet Union in rationing goods, it’s no wonder some people took the opportunity to jump the queue, and help themselves to a small share of the consumer goods they are told they deserve – “because you’re worth it”. Will the riots lead to a more political “action” and if so, what will be the timescale? One thing for certain, despite the clampdown called for against organising by Facebook and Twitter, this was not the beginning of a UK ‘Arab Spring’. Perhaps there are parallels elsewhere. There are some clues from Latin America. One of the biggest riots on the continent took place in 1989 in Venezuela. Protests against rising food prices and IMF imposed austerity led to widespread looting, and a ferocious reaction by the armed forces and police. Somewhere between 900 and 3,000 were slaughtered as the Venezuelan government tried to teach the people a lesson about accepting economic bitter medicine. The Caracazo (see here for a description of the events) sowed the seeds of change which eventually led to the election of Hugo Chavez, and the Bolivarian revolution in Venezuela. 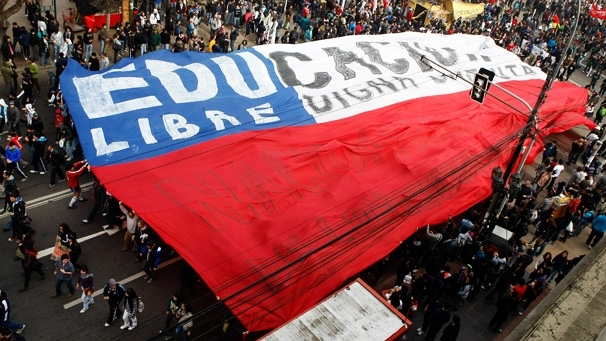 Another, more recent example from Latin America is the student protests in Chile. These have been raging in the country since the end of the Spring, and go back at least five years. They stem from the demand by students for decent education at all levels – from primary school through to university. The government has made concessions, which have been rejected by many students as they strengthen their demands. Their protests have also been met with force by the State – the police have used real and plastic bullets – a sixteen year old was shot dead – and 900 demonstrators were arrested after one protest. The second, from COHA, examined the progress of the protests this year. The latest demonstration, on August 21, drew 500,000. The numbers and duration of the protests stand in contrast to the student protests in the UK last year, which were themselves historically large. Today’s demands in education, health, social and political rights, have no solution under the current constitution so the path to success lies in moving towards a Constituent Assembly to draft a new constitution via a referendum, a route successfully followed by progressive governments backed by social movements in Latin America. Perhaps all the protests and riots – in North Africa and the Middle East, in South America (and in the United States), in the UK, France, Spain and Greece – all have one thing in common. They are a rejection of neo-liberalism, or what in Nicaragua is commonly called ‘savage capitalism’. They are still a long way from wanting to show the door to capitalism but are certainly starting to look seriously at the alternatives.